The Roundabout Theatre Company is very well known for bringing fantastic, often original work to the Broadway Theatre in New York. Last week, Roundabout's new play, Significant Other, began at the Booth Theatre on February 14, 2017. Significant Other tells the funny and heartwarming story of a young man by the name of Jordan Berman, who begins to question why all of his best friends are finding their "significant other", one by one and that he cannot seem to do the same. He wants to find "the one" also at this point in his life. It seems odd to Jordan that everyone else is headed for the alter and he can't seem to find a romantic connection. 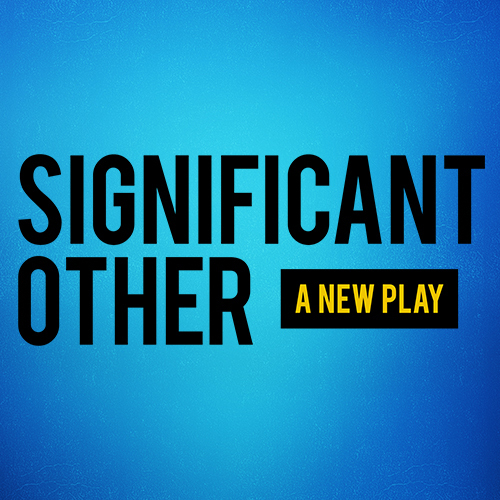 Significant Other is a new play that comes to Broadway after a sold out run Off Broadway and aims to please. The show is written by Joshua Harmon, author of Bad Jews, which played the Off Broadway theatre scene quite some time ago. Last year, Roundabout Theatre Company brought to New York, another original play called The Humans, a great show that won a Tony Award for Best Play of 2017. I saw it and it was something to remember for sure. Charles Isherwood of The New York Times called Significant Other "richly funny & heart stirring". Right now, my company Applause-Tickets is offering orchestra and mezzanine seats at a significant discount from our regular pricing. If Significant Other is a show that you may want to see, we welcome you to call the local Broadway experts at Applause-Tickets at 212-307-7050. Applause-Tickets is open 365 days a year and 24/7. Won't you consider taking your "significant other" to see Broadway's Significant Other? It sounds like a fun show to see. We welcome your calls anytime you want to talk about Significant Other tickets or Broadway tickets for any of the nearly 40 shows playing in New York City.